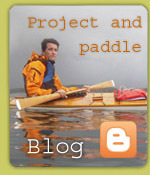 If you don't have space for more kayaks at home you can now order or build a model! The models displayed here are faithful replicas on a 1:10 scale and bound with real skin. Prices upon request.